Frosting clay? Yeah, I made up the term. 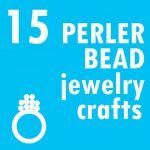 It’s buttercream frosting made malleable, a delicious alternative to fondant. Frosting clay has the same ingredients as buttercream frosting, but it’s similar in texture to fondant or candy clay. Frosting clay first appeared on my blog years ago, in this guest post on “sculptable frosting” by Cheryl of Sew Can Do. 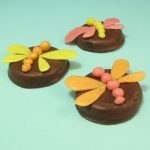 I’ve been meaning to revisit this delicious fondant alternative for years. 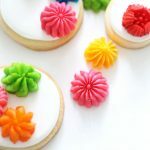 Pretty much every cake decorator and cookie decorator I have ever known has agreed that fondant can’t be beat for it’s texture when you’re decorating. 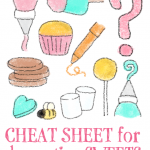 You can roll it out, cover cookies and cake, make cupcake toppers and other decorations. But the cloying taste is just not that appealing. 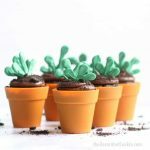 Frosting clay to the rescue! 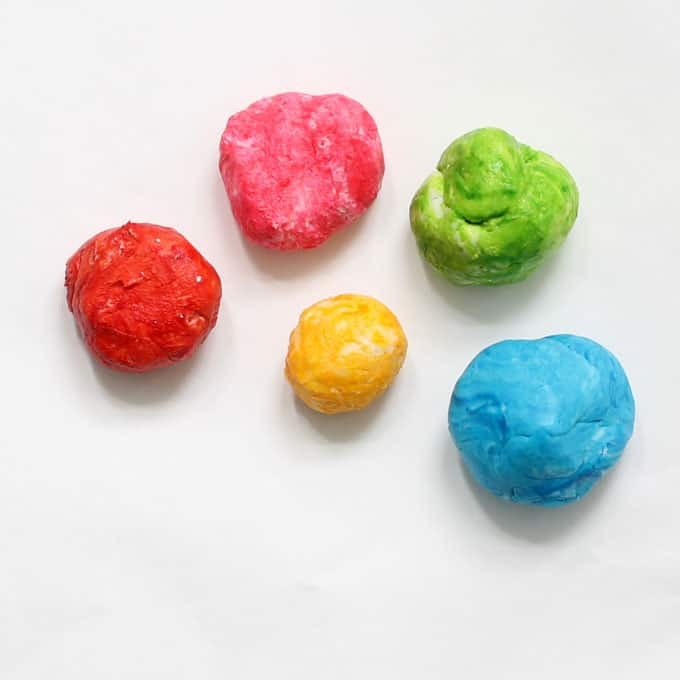 If you like buttercream frosting, you’ll like the taste of this edible clay. As I mentioned above, this buttercream frosting clay is a fantastic substitute for fondant. Mostly. Because it’s made with butter, it will have a more greasy feel, so it’s a bit messier to work with. It also does not have the coverage that fondant has. You can roll out a large piece of fondant to cover a cake seamlessly. Frosting clay really doesn’t have the same properties to cover a whole cake. 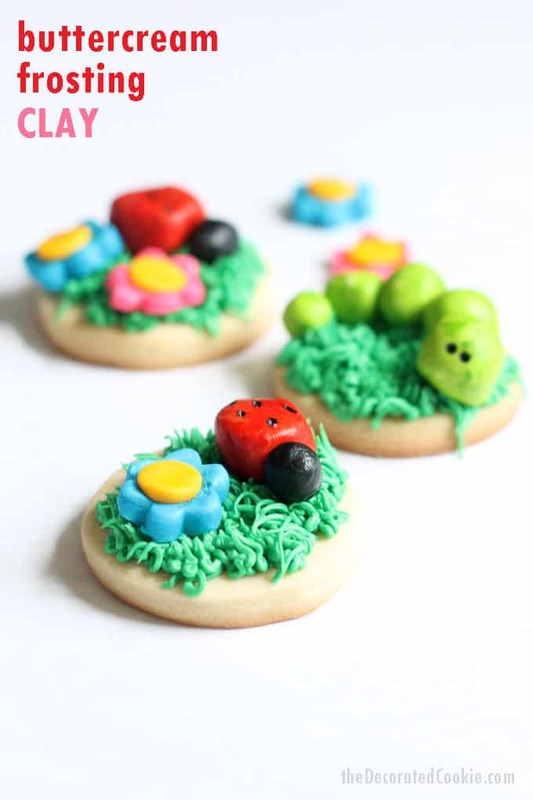 Frosting clay is best for small decorations, such as the ladybugs, flowers, and caterpillars you see here. 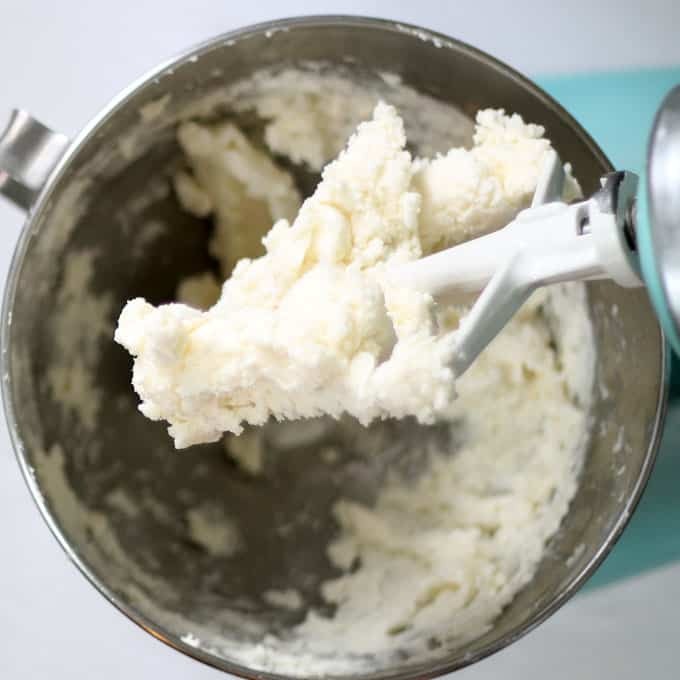 Place the butter, milk, vanilla, and salt in a large bowl with a hand mixer, or in the bowl of a standing mixer. Blend well. Add the confectioner’s sugar one cup at a time, blending after each addition, until the consistency is that of a dough and is it is not very sticky. Divide the clay and tint any colors you like. 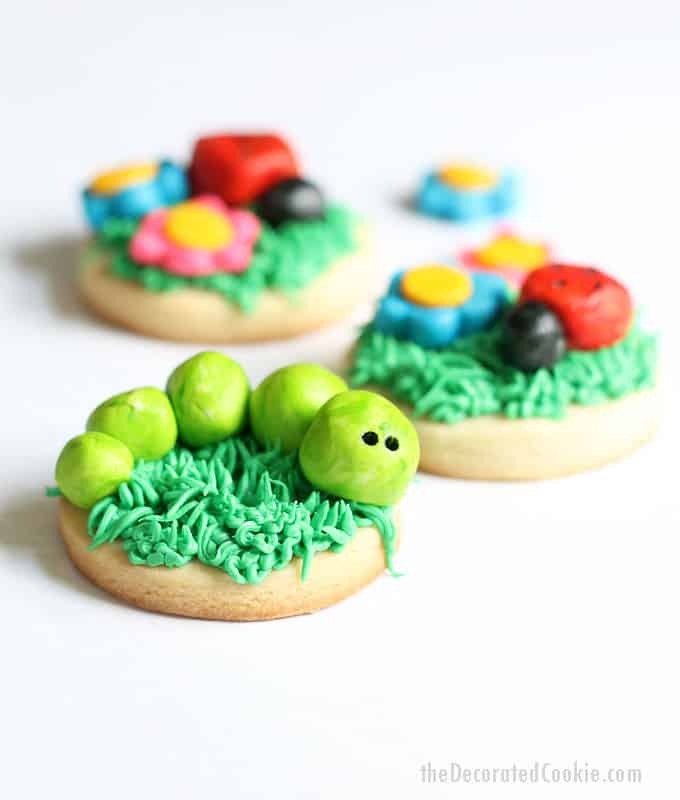 You may roll out, cut out, and shape the frosting clay however you like. If the clay gets sticky, dust your hands with confectioner’s sugar. If it softens, place in the refrigerator for a bit until it hardens. Store leftover frosting clay in the refrigerator. It will harden when chilled, so let it come to room temperature before using again. 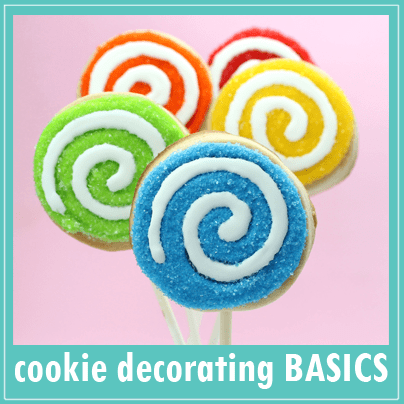 Place a few drops of food coloring, I recommend Americolor Soft Gel Pastes, on a chunk of frosting clay. Knead very well. Use confectioner’s sugar on your hands if the clay becomes too sticky. The food coloring will dye your hands, so you might want to consider using gloves. 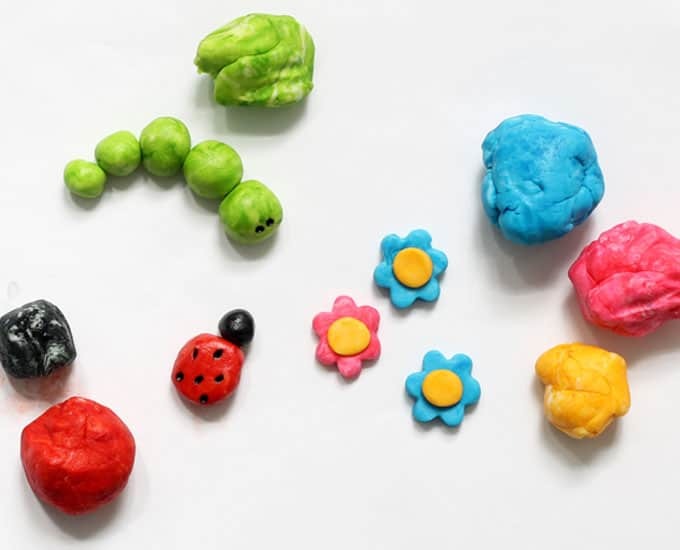 You can treat frosting clay as you do fondant (when making small decorations, not large-scale decorating) or even when you play with Play-Doh. 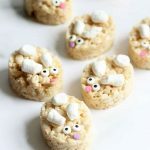 You can roll it out on a surface dusted with confectioner’s sugar. 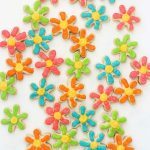 Cut out shapes with mini cookie cutters or fondant cutters. Form shapes and use toothpicks to add accents. 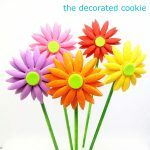 You can also use food coloring pens sparingly on the surface of frosting clay. 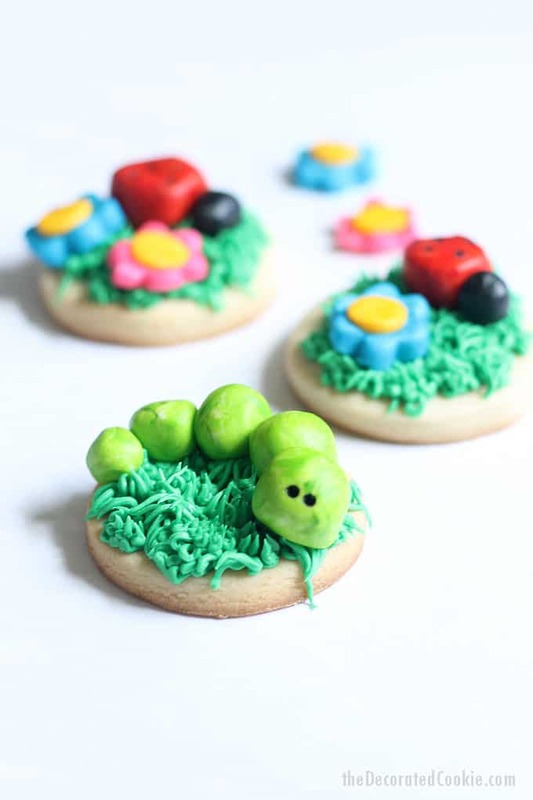 Because it has a butter base and it’s soft, you can’t draw a significant amount on the surface with food coloring pens, but you can use them to make dots, such as those for the lady bug or the caterpillar’s eyes. 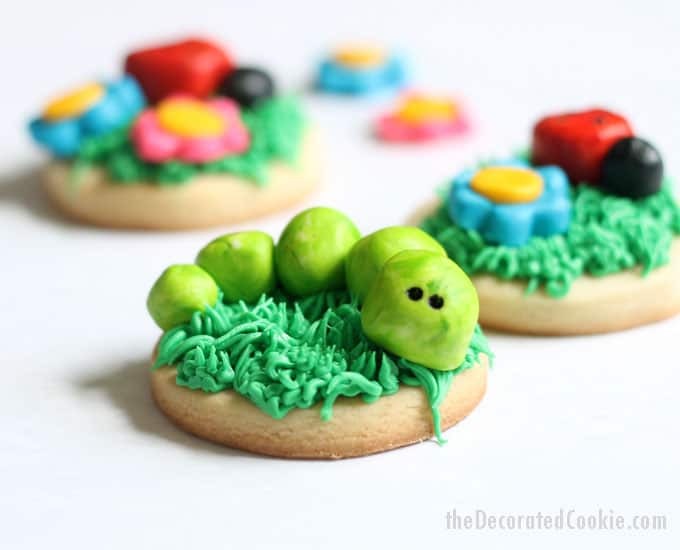 These bug cookies are topped with frosting clay bugs that are very similar to these fondant bugs. For the worm, I tinted the clay with Electric Green, rolled pieces into different-sized balls, and added two dots for eyes with a black food coloring pen. For the lady bug, I colored the clay Red Red and Black, rolled the two balls and added black dots. For the flowers, I rolled out the Electric Pink, Sky Blue, and Yellow clay. I used little cutters to cut out the flower shapes and circles, and gently pressed the pieces together. 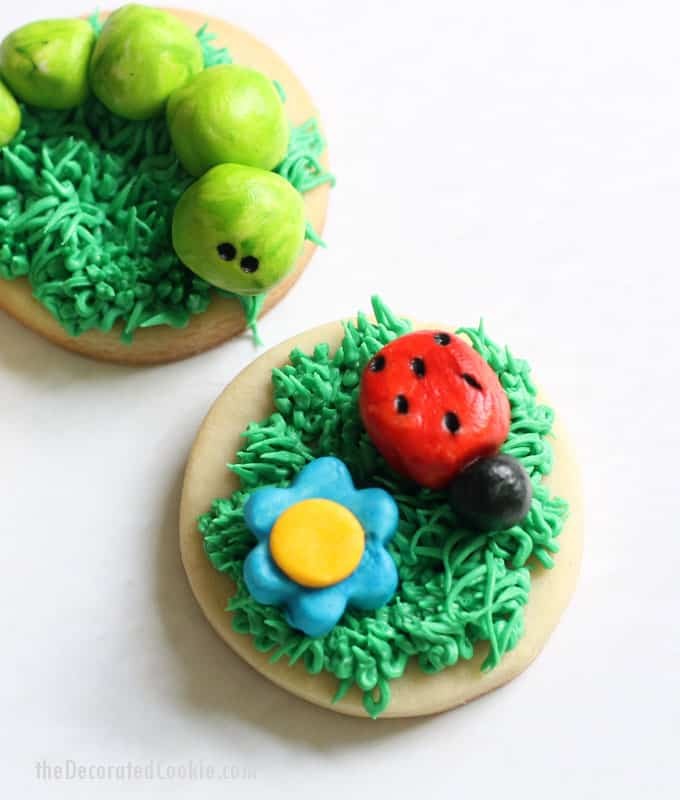 For the grass, prepare regular buttercream frosting, tint Leaf Green, and assemble a decorating bag with the grass tip. 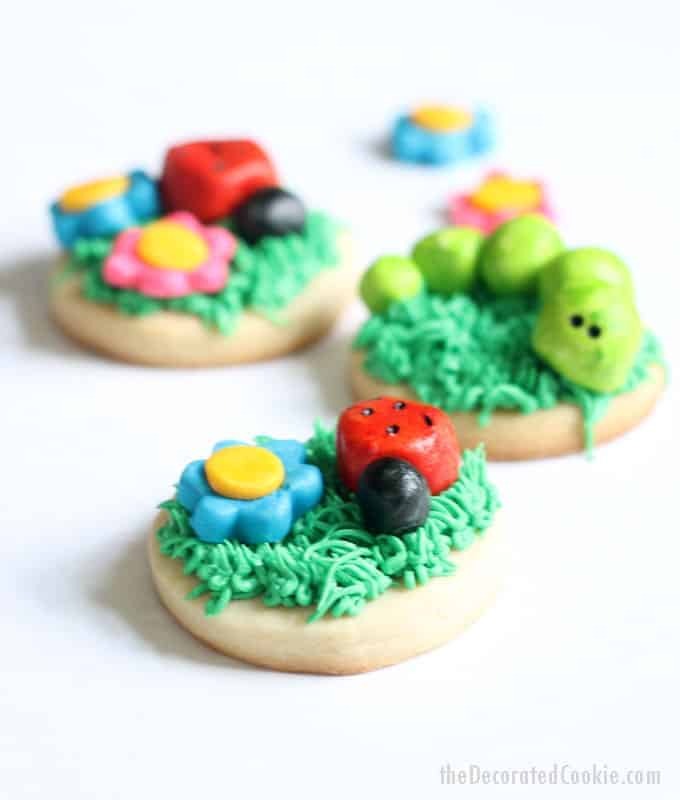 Pipe green grass on your cookies or cupcakes and arrange the fondant clay bugs. Let set well. 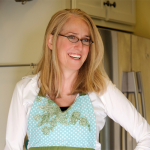 Place the butter, milk, vanilla, and salt in a large bowl with a hand mixer, or in the bowl of a standing mixer. Blend well. Add the confectioner's sugar one cup at a time, blending after each addition, until the consistency is that of a dough and is it is not very sticky. Divide the clay and tint any colors you like. 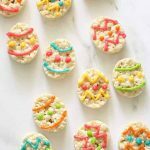 You may roll out, cut out, and shape the frosting clay however you like. If the clay gets sticky, dust your hands with confectioner's sugar. If it softens, place in the refrigerator for a bit until it hardens.